Score high on the style metre by wearing this sweatshirt from United Colors of Benetton. 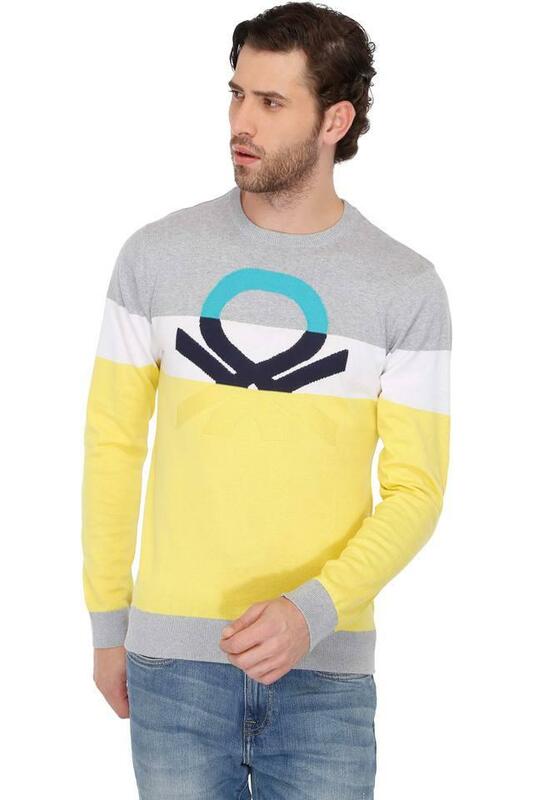 The colour block pattern is complemented by the print detailing at the front, which uplifts its style quotient. 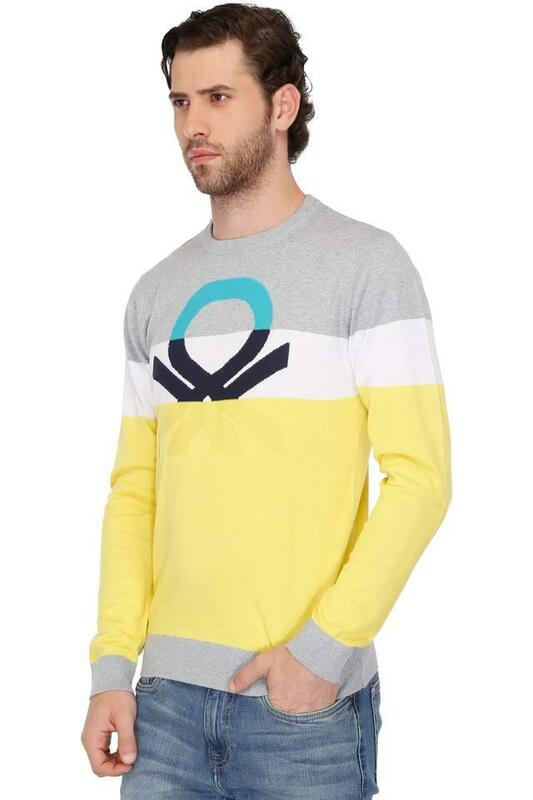 Moreover, the full sleeves lend a touch of suaveness to the design. 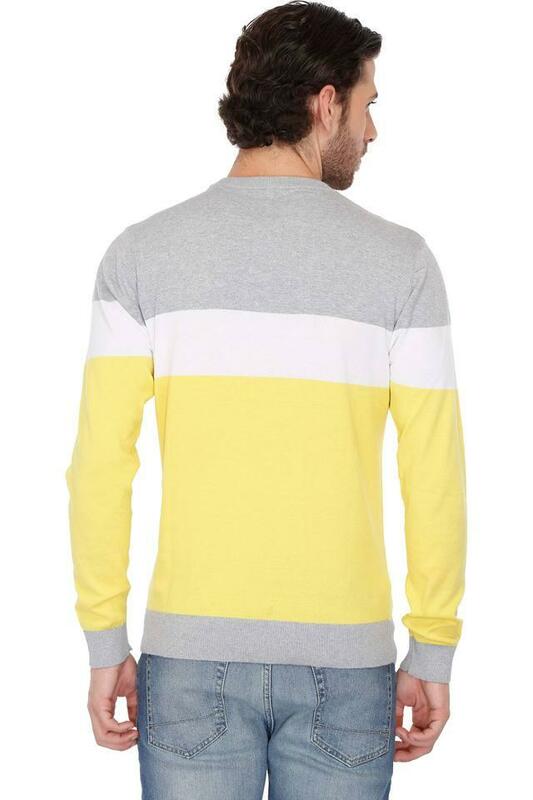 It also has a round neck, which gives it a versatile appeal. A perfect mix of style and comfort, this sweatshirt will be a great addition to your closet. 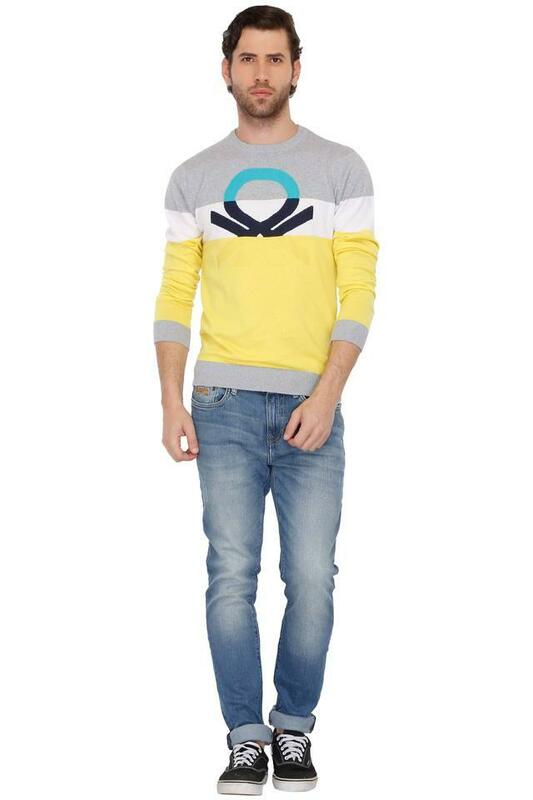 You can club it with a pair of jeans and canvas shoes for any casual occasion.